Right in time for your travels, we've just completed a big update to our rich collection of Free Foreign Language Lessons. Featuring free audio and video lessons, this handy resource will help you learn to speak Spanish, French, German, English, Chinese, Arabic, Italian, and Russian, plus 36 other languages. And it's all for free, which is a lot less than what Rosetta Stone and other vendors will charge you. Not bad, especially considering that some of the lessons come from venerable institutions like Yale, Cambridge, Carnegie Mellon, Emory, the BBC, the US Peace Corps, the Foreign Service Institute, and more. 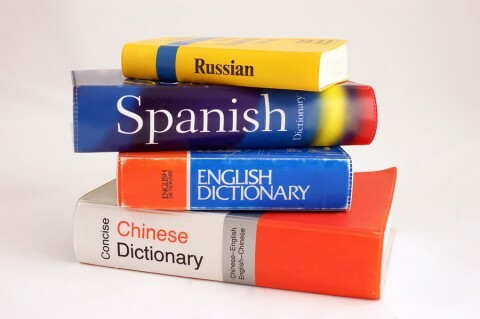 The complete list of Free Foreign Language Lessons, includes the following languages: Arabic, Bulgarian, Cambodian, Catalan, Chinese (Mandarin & Cantonese), Czech, Danish, Dutch, English, Finnish, French, Gaelic, German, Greek, Hebrew, Hindi, Hungarian, Icelandic, Indonesian, Irish, Italian, Japanese, Korean, Lao, Latin, Lithuanian, Luxembourgish, Maori, Norwegian, Polish, Portuguese, Romanian, Russian, Serbo-Croatian, Sign Language, Spanish, Swahili, Tagalog, Thai, Turkish, Ukrainian, Urdu, Vietnamese, Welsh and Yiddish. If we're missing any great resources, please tell us in the comments section below. Thanks for adding Turkish. I’m excited to check it out. Rosetta Stone is supposedly a terrible way to learn, from many things I’ve read, and many youtube videos I’ve watched, which are usually comparing it to the Pimsleur method, which is supposedly excellent [I’ve never heard or read anybody say anything against the Pimsleur method, only always in full support and admiration]. many of my friends are looking for Sanskrit and Tamil, both of them have been declared as Classical languages by the United Nations. Although one of the resources listed (ChineseLearnOnline.com) was free in the past, it is now a paid site. I would greatly appreciate it if Sanskrit was added to the list. I turned to your site in search of language courses specific to Slovak the language of Slovakia. Alas, I did not see it offered. Please, when will you have it available ? Need to include Old Norse. Uno de los mas dificiles de dominar,por muchas variaciones. Gaelic (Irish & Scottish) Please!